In a statement, the company said it inked the agreement with POSCO E&C, which sees the Korean firm appointed as the Preferred Engineering, Procurement and Construction contractor for Terminal Zero. Adani Group's Australian subsidiary on Wednesday said it has signed an memorandum of understanding with a South Korean steel giant for the construction of a new strategic terminal at Abbot Point coal port to export high-quality coal globally at competitive rates. Terminal Zero will be constructed at the port of Abbot Point near Bowen town, Queensland, as per the Memorandum of Understanding inked between the company and Korea's POSCO. 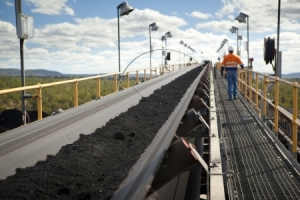 "Construction of T0 is a vital step in ensuring that exports of high quality, cost-efficient coal from mines such as Carmichael in the Galilee can be landed in markets throughout Asia competitively and at scale," the company said. "T0 will have a capacity for 40 Metric tonnes per annum initially with an expansion to 70 mtpa in its second phase. The port at Abbot has always been the forefront of Adani's plans to build a long term future with Queensland," it said. "Long the lifeblood of Bowen, expanding the port is key to Adani's plan to deliver 10,000 jobs in Queensland, opportunities for small and medium sized enterprises in the region, and $22 billion in taxes and royalties from our integrated project to be delivered back into frontline services here in Queensland," the statement said. In July, POSCO E&C was appointed as the Preferred EPC contractor for Adani's North Galilee Basin Rail project. The firm has progressed work packets and subcontracting arrangements promptly, with the transition to the build phase of the project to be realised in the first quarter of 2015, promptly delivering jobs and supply opportunities for businesses in Queensland. Adani's Australian Country Head and Mining CEO Jeyakumar Janakaraj said the deal reflected the fruitful partnership already on foot with the NGBR, and the trust both companies had developed in the working together. "This MOU is the latest in a host of recent announcements that bring our integrated mine, rail and port project closer to first coal in 2017. POSCO E&C is a proven and trusted partner, and we welcome this opportunity to enhance our co-operation with them. "From our perspective, POSCO E&C's decision to invest in this key piece of infrastructure reflects the confidence tier one players have in central components of our project such as the port's expansion," Janakaraj said. During the past five months, Adani and POSCO E&C have strengthened and developed their trusting and respectful relationship through their joint efforts on the Rail Project. "Consequently, I am very pleased to say this relationship now extends to Adani's Terminal Zero Project at Abbot Point Port," POSCO E&C's CEO Tae-Hyun Hwang, said. "POSCO E&C has a long history of delivering successful projects in the world and we will put our upmost efforts into delivering successful Rail and Port projects for our passionate and innovative partner, Adani," the statement said. On November 17, the Queensland Government indicated the rail line will be the subject of the state's infrastructure- enabling investment policy, which will ensure infrastructure integral to opening up the Galilee Basin, such as the NGBR which links the basin to the port at Abbot Point, will be the subject of short to medium term investments from the state. This reflects the longstanding practice in Queensland of governments of either major party undertaking considered, strategic investments that help ensure vital job and export opportunities can proceed where high initial capex costs might otherwise be prohibitive. Taken together with the state government's commitment to infrastructure-enabling investments, and POSCO E&C's commitments to invest in the rail component of the project, it is clear that Adani's plans to build a long term future with Queensland are progressing well.